Be assured: flossing has benefits. But however you floss, flossing has definite benefits. And here they are in more detail. Lots of what you eat and drink stays in your mouth. It lurks in the tight spaces between your teeth. Basically, toothbrushes do NOT reach those spaces. As a result, plaque is formed as that food and your saliva mix. And plaque can build up over time. Flossing cleans those inner surfaces, helps to fully cleanse the whole tooth and dislodges plaque. Done correctly, flossing also cleans the surface of the tooth and the space between the tooth and the gum line. This is a definite benefit of flossing because plaque contains bacteria that contribute to tooth decay and gum disease. It’s a fact. Daily flossing helps to remove plaque and debris from between teeth. This matters. Firstly, because plaque contains acid producing bacteria which cause tooth decay. Secondly, because gums become inflamed in response to plaque build-up (this is known as gingivitis). And lastly, seriously unhealthy gums can increase your risk of tooth loss or expensive dental work like a root canal. 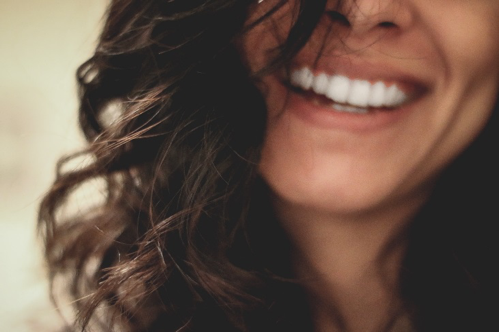 It’s simple really—combined with brushing, flossing can keep your mouth, and smile, healthy and beautiful. Those are great benefits of flossing. Flossing daily removes plaque. Plaque doesn’t just make your teeth feel fuzzy, it dulls them too. What’s more, over time the acids in plaque will eat away at tooth enamel and cause your teeth to yellow.So flossing makes your teeth look brighter! And crucially: when plaque is allowed to accumulate it hardens and becomes tartar. Tartar is yellow, ugly and sticks like superglue to teeth. Regular flossing helps to prevent plaque build-up and therefore tartar. Regular flossing also significantly reduces the risk of bad breath. Food that remains between your teeth decays. Chemical compounds are released as it decays. These can smell of anything from rotten eggs to rotten meat, and from human feces to decomposing bodies! Is that really what you want your mouth to smell like? So FLOSS and hey presto! Fragrant breath and a winning smile! Flossing could do more than give you a winning smile. Here’s the thing: Looking after your gums can help you avoid far more serious diseases. We don’t understand exactly how gum disease impacts on the cardiovascular system but it does. And that’s a great reason to do everything you can to look after those gums and get flossing! Furthermore, while flossing you get a good look at your gums, teeth and tongue. Certain conditions cause redness, swelling or lesions in these areas. Spotting these signs early while flossing gives you the chance to have them investigated straight away. And here are two more reasons why flossing should be part of your daily routine. Dental work is expensive. Even UK National Health Patients have to pay towards their dental treatment. You can avoid large bills in the future by using preventative dental care now. Not to mention avoiding the pain of a root canal or extraction! Research suggests that populations relying on emergency care, rather than regular check-ups, can pay as much as 10 times for their dental visits over a given time period. Why? The answer is education. Each time you visit the dentist, you will be informed of the benefits of flossing and told to get on and do it! OK, it’s a big claim to say that flossing can help you lose weight. But common sense suggests that if you care enough to brush and floss after eating, you are going to be less tempted to give in to temptation. Particularly the temptation to eat anything sticky or sugary that is going to spoil the sensation of having a mouth that looks, feels and smells great! Weak evidence for the benefits of flossing? Recent press coverage has questioned the benefits of flossing. Look more closely into this and you will see it’s because many studies have a low sample size, have not been conducted over a long enough period, or were not rigorous enough in terms of verifying whether participants were flossing correctly, or as often as they claimed to be. But here’s the kicker: Even skeptics of flossing say cleaning between your teeth is good for you. And there are alternatives to flossing that will do the job. These are especially useful if you have a brace or retainer that prevent conventional flossing. Not everyone likes flossing! It takes a little time to do properly. If you don’t do it often enough it can hurt or taste or smell unpleasant. If this is you, the game changer could be a water flosser. Here’s the thing: Using a Water Flosser is quick. It takes less a minute to clean your whole mouth. It’s easier. No manual dexterity required! It’s effective: the pulsating action of a water flosser is more effective than flossing with string or tape while at the same time being gentler. And it gets deeper into the pockets between teeth and gums. It’s appropriate for people with orthodontic appliances. And what’s more, it can also be fun. 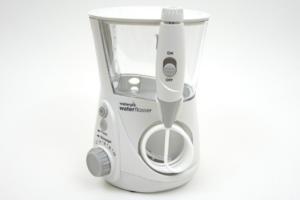 Pingback: Waterpik Cordless Plus: Should You Buy This Water Flosser?